Lovina beach is a peaceful foreshore, located about 12 km on the west side of Singaraja, North of Bali. The beach Lovina is pretty quiet, except in the weekend, there are more crowded. But still the place is expensive with less facilities but there are pubs and bars. And certainly they have great selection of restaurants, shops stalls and if you want to buy some souvenir. The best of this area, the lovely seashore and swiming with Dolphins. At the beginning Lovina beach is popular place for Balinese nation wide known literair and novelist Mr. I Gusti Pandji Tisna. As a tourist resort develops much later than south Bali. Three basic activities hat have always triggered the development of Lovina to be a station balneare those are Menjangan diving site, Bali round trip program overnight, and a need to more rural resorts. Even the development has given more inspiration to the areas further west such as Pemuteran and Labuhan Lalang, a place of 40 minutes drive from Lovina and closer to Menjangan. The area Lovina Bali is different in many ways from the tourist south. Here in North of the Island the seashore are not white, but volcanic black. The sea is quiet because of a nearby reef, warm and inviting to swim. Lovina is the name for a row of beach villages west of the former capital of Bali, Singaraja. Singaraja has all the facilities a tourist needs, banks, shopping centers but still is a typical Bali city with many colored markets where you can try the local food, like sate kambing and bakso. The central area has some nice nightlife where local bands in the pubs play Indonesian and western style of music. In the night you see lots of Balinese boys hanging out in the streets playing music. To give the tourists more attraction or things to do in Lovina beach. Local people created some activities such as snorkeling, dolphin watching, outrigger paddling, and nature trekking. Recently the Association of Small Hotel and Restaurant in Singaraja put a regular traditional art festival which was planned to be in show annually. More things to do or see in the area of Lovina: Visit The Hot Springs of Banjar. The buddhist monastery close to the Hotsprings of Banjar, the Singaraja City and Market. The famous Gedong Kirtya Library in Singaraja. Old Singaraja Harbour, Dutch colonial history. Gitgit waterfall, with breathtaking surroundings. The Botanical Gardens, a large garden complex. Munduk, famous for its rice terraces and jungle trekking and various temples, like Pulaki temple with its monkeys. The underwater world here in Lovina Seashore is incredible and ready to discover. There are plenty diving operator around here and this is also one of the favorite place to do some diving. .
Or you can snorkeling and enjoy the lovely bright blue starfish on the reef not too far from the shore. 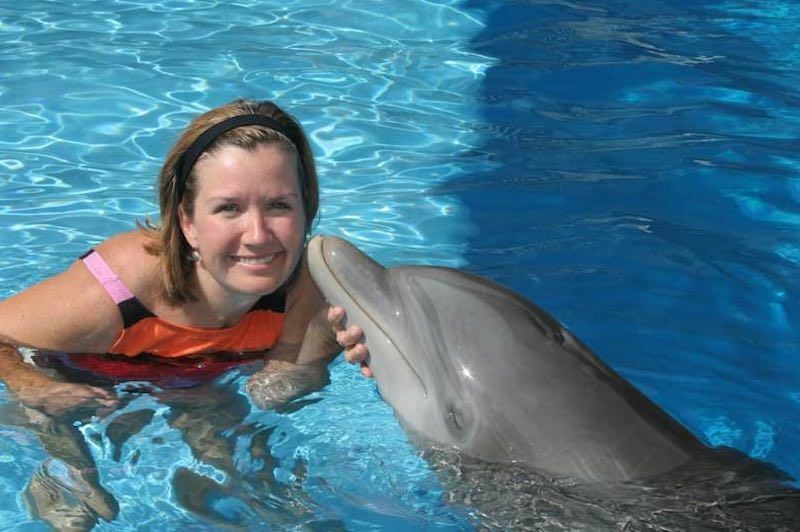 And enjoy with Dolphins, you can have a great experience on this seashore . You can do dolphin watching tour. There are countless boat that ready to take you to the wild dolphins, but this action makes the dolphin very upset. This is the best attraction for to know the area. All Island has warm and humid. Lovina weather has a tropical climate like all Bali Beaches. The seashore is black sand, not white sandy beaches like Kuta or Sanur, but this place has a great places ready to explore, just like diving with great. The climate is unfavourable 6 months out of 12 in Lovina Beach Bali. Don't get there the wrong period! Discover when to go to be sure of having perfect weather. DO YOU WANT TO KNOW WATERFALLS IN MUNDUK ? Volcanic Beach Lovina Regardless the tranquility, this area is still attractive place to visit. If you don’t care so much about partying and crowded, but love peaceful and silence area, this might be right place for you. Lovina Beach Hotel include some of North Bali's within the popular resort area, which let you stay right on the calm, black-sand beachfronts. There are also great selections in Lovina Hotel that make good use of the hilltop locations. Additionally, you can try some of the many homestays and hotels like Lovina Oasis Hotel, Aneka Villas & Spa or Suma Bech Hotel. 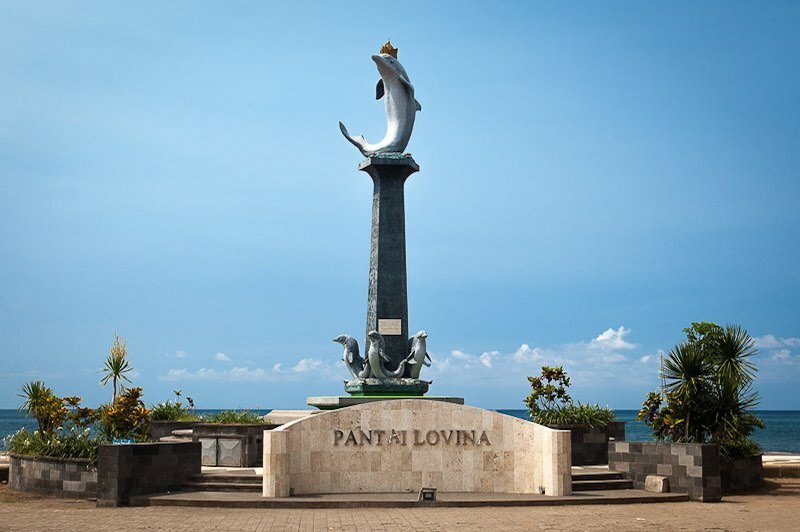 Lovina Map its a beautiful area located in north part of Bali is not a favorite places to stay for tourist. Itself, not many people visited this part of Bali. It takes about three hours to drive from the Ngurah Rai airport to the north of the island.